As learning professionals, how much effort do we regularly dedicate to developing ourselves? I’ve heard the “joke” about L&D (learning and development) not having time to train L&D many, many times. It’s every L&D pro’s responsibility to eat their own dog food (yummy visual) and apply the same principles and methodologies they use in their client-facing work to their own personal and professional improvement. Industry events can be a powerful component of our development efforts. We all know learning isn’t an event. It’s a continuous process. Therefore, you can’t expect to attend a single conference and walk away a fully-skilled L&D pro. However, industry events offer a variety of meaningful development activities that can help you take the next step in your career. First among these activities is the chance to network with L&D pros from around the world and across a multitude of industries. Sessions and keynotes are great, but making contact with people who are overcoming the same challenges you are facing is priceless. I’m lucky to attend a wide variety of L&D events as part of my role. However, well before I became a relative fixture on the speaking circuit, attending a single conference changed my outlook on workplace learning. For years, I had been operating in a silo—like many L&D pros continue to do—trying to solve problems all on my own. Then, I attended the ATD International Conference and Expo and realized my profession wasn’t just a job. It’s a community. The connections I made at that event formed the foundation of a personal learning network that I continue to leverage today. This is why I know the right event, despite the often considerable financial and time requirements, can have a long-term impact on an L&D career. My Curated Insights post for September highlights four upcoming L&D industry events in North America along with the sessions I’ll be leading. 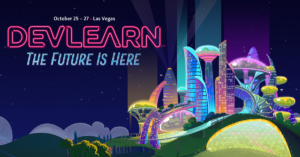 DevLearn is the premiere annual L&D technology event in the US. It’s a great place to check out how other organizations are addressing learning and performance challenges through the application of right-fit technology. It’s also in Vegas—if that’s your thing. I particularly enjoy eLearning Guild events because of the organization’s clear focus on the professional community. Rather than just talk theory, you get to see how L&D pros just like you are applying new ideas to solve real-world problems. DemoFest is a great example. It’s basically the world’s largest L&D science fair and a must-do part of the conference. Let’s briefly cross the border and talk about Canada’s premiere workplace learning annual event. This will be my first time attending I4PL, and it will be a great opportunity to support the professional community so close to Axonify’s home. I have partnered with I4PL in the past, and the organization brings together a great mix of L&D pros from a variety of major Canadian industries, including financial services, healthcare and telecommunications, to share practical ideas. This will be a great opportunity to expand my network and meet members of the community who do not often attend conferences in the US. TechKnowledge (TK) is DevLearn’s little brother from another mother. While DevLearn goes deep into new L&D tech trends and is targeted more towards seasoned practitioners, TK stays a bit more high level and provides an opportunity for newer, less experienced pros to explore new concepts. TK is also a smaller conference, which provides more time for participant discussion and networking. ATD is the world’s largest professional organization for workplace learning professionals, so this event provides a nice change of pace and select offerings as compared to the behemoth that is the annual International Conference and Exposition in May. I was part of the planning team for three years and can personally attest to the organization’s commitment to finding new and engaging ways to immerse participants in the latest learning tech innovations. Training 2018 provides the opportunity to explore a wide range of L&D topics. While DevLearn and TK are focused on technology innovation in learning, Training spans the full gamut of L&D strategies, from the traditional to the cutting edge. It is also the largest of the events covered in this post, meaning this is a great chance to meet L&D pros from a wide range of locations and industries. 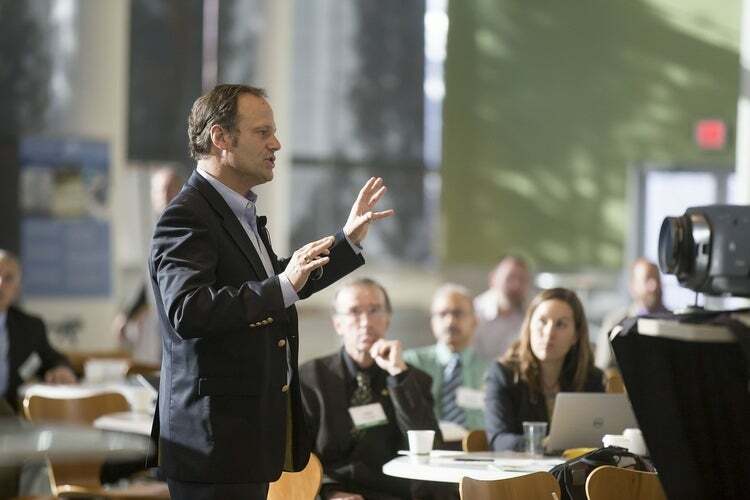 Training also stands out when compared to other events based on their additional off-site activities, which provide the opportunity to take the conference real-world and see new ideas in action. In 2018, I’ll be partnering with Training to create a new, immersive microlearning experience open to all attendees. Big and small. Domestic and international. L&D professional development activities continue to grow and evolve based on the ever-changing needs of the professional community. If you are new to the conference world or just want a few recommendations based on your particular interests, reach out anytime here or on Twitter via @JD_Dillon. Let me know if you’ll be attending any of the events at which I’ll be speaking. It would be great to say hello in person. And, if you’re in/near the UK, check out this awesome L&D events calendar from Fiona McBride. For more curated content, visit my Flipboard mags, where I post new articles on a variety of workplace learning topics every day. I also curate mags for select L&D events in order to share the experience with the greater community. For example, check out ATD 2017 and DevLearn 2016. Thanks for reading my monthly curated insights on the Axonify KNOWledge Blog!